I had a chance to play The Vita at Gamestop Recently, and so... I did. And I have some thoughts on the system and the gaming climate surrounding it, which will be handled seperatley. The first thing to come to mind for me was the size of the unit. I never realised how big it actually was. Inspite of this, it is also very light, which makes it easy and relatively comfortable to hold. I instinctively held the machine with my fingers over the back touch panel however, which wasn't a problem as Gravity Rush didn't (to my experince) appear to use it. I did test holding the machine "properly" without touching the back panel, and I have this to say on that matter: thank goodness the thing is light, as such a hold seems akward. Without a touch panel game (or a greater deal of time.) to test out comfortability in this regard, I must say that this opinion is far from final. The second thing to come to mind was the two sticks. They were quite comfortable (despite appearances. ), and... light and smooth to operate. I was torn on how the sticks felt/worked: I couldn't decide if they were too flighty or simply really fluid [ I was also torn on wether either of these potential traits were good or bad...], and I kind of feel they were somewhat both. Hopefully the unit I was using wasn't worn out, and that my impressions are based off a fresh unit. They were definetly interesting. 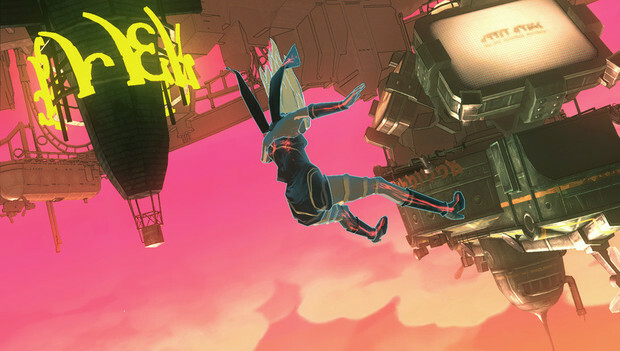 And, while playing Gravity Rush, a little annoying. .Another minor quibble was the dodge, conducted by swiping the screen. This was cool and felt natural to input, but it didn't seem to work everytime. Rounding out my preview of the unit are the buttons, which were solid and squishy, and the D-pad makes cute little click when fully pressed in. You can slide your fingers around on the D-pad before commiting to this click inducing true press. Overall, My time with the Vita was an enjoyable one. The demo was pretty cool, and I imagine the game will be quite a blast. Having your perspective of the beautiful environment shifted with the gravity controls was a visceral and stunning experience. I especially enjoyed the cel shaded style and comic like cutscene. If/when I get a Vita further down the line (which I feel is becoming increasingly more likely. ), this may well be one of my first game purchases for the machine. Now, the second half of this post: Just some things I realised during and after my play session. Like I said above, I had never realised just how big this thing was. In more recent images, it always seemed sleeker... and when I first saw it in person, It reminded me of one of the criticisms that many had about the wii U. It had the shape and overall apperance of a tonka toy: Bulbous and large. This isn't exactly something I have heard out of a lot of people when the vita was mentioned, and so I take the criticism of the wiiu in this regard as a little one sided. Another thing I realised was how I had come to perfer using the Gyro control over the second stick. While this preference was never strong enough to want the second stick gone completely, it also raised the question of it's nessecity: something many have bashed the 3ds about. It seems to me now *after* my play of the vita how untrue the assesment that these devices absolutely need a second stick to play games properly really is more than it ever did before. The psp didn't have a touch screen or gyro controls, and neither did last gen home consoles. A stick may have been needed then, but it really is little more than an added luxury now sitting beside Gyro and touch control: it is nice to have more control options, but for the current types of games available you don't require them all. One or two, while maybe not as ideal, are enough. Basically, I feel that many of the positive and negative comparisons being jabbed on about these newest and incoming game machines to be hypocritical and poorly thought out. Just my two cents on the atmosphere of current gen gaming. Now, I have to go and play the MGS3d demo (yes, With the slide pad.) I Downloaded and my "new"(read: "Display Copy") Tales of Abyss I bought from the Gamestop.